Celluloid Dreams has released a first image of Belgian actress Cécile de France in the role of a woman who discovers she has shamanistic abilities during a trip to Mongolia in French filmmaker Fabienne Berthaud’s upcoming feature A Bigger World (Un Monde Plus Grand). The feature is based on the real-life experiences of Corine Sombrun, a French musician and composer who made a similar discovery while on assignment as a sound recordist for the BBC World Service in Mongolia in 2001. Sombrun’s abilities were revealed when she fell into a deep trance during a ceremony featuring ritual drumming by a local shaman. She spent eight years learning how to harness her powers under the guidance of local shamans, and recounted her experiences in her 2006 book Mon Initiation Chez Les Chamanes. Co-written with Claire Barre, A Bigger World is Berthaud’s fourth feature after Frankie, Lily Sometimes, which played in Cannes Director’s Fortnight in 2010, and Sky, which premiered in 2015 in TIFF’s inaugural Platform line-up. “After reading Corine’s book, I knew I had to make a movie out of it. It is an incredible character, bigger than life, and beyond fiction, it seemed urgent to me to explore the important questions that the practice of Shamanism raises, at a time where spirituality is taking more and more space in the daily life of Westerners,” said Berthaud. A Bigger World is produced by Carole Scotta for Haut et Court, in coproduction with Christine Palluel for 3×7 Productions/Groupe Telfrance and Genevieve Lemal for Scope Pictures. Haut et Court Distribution will handle the French release. 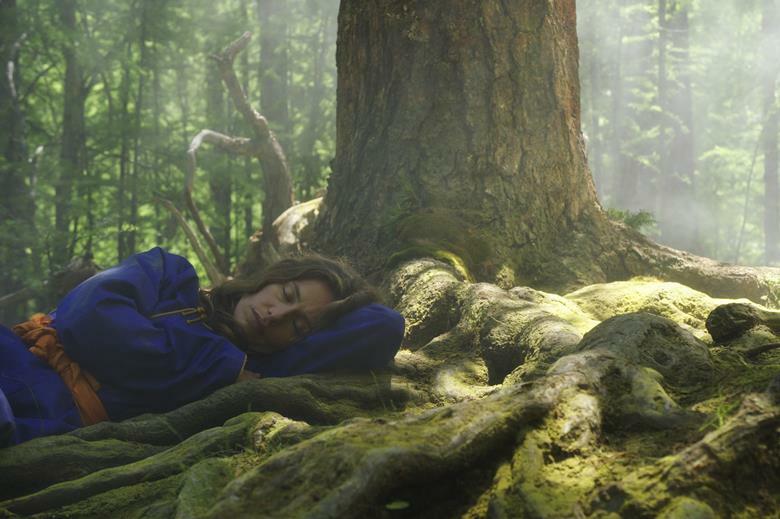 Celluloid Dreams is launching sales on the film at TIFF. Festival titles on its sales slate include Giant Little Ones by Keith Behrman, which premieres as a TIFF Special Presentation, and Jafar Panahi’s 3 Faces, which is playing in the Masters section. De France is at TIFF this year with Emmanuel Moret’s Mademoiselle De Joncquières, which world premieres in Platform.